Disneyland announced that they're increasing ticket prices over $90, as The Examiner reported this Monday, June 3, it seem small at first, but not to those families who plan to visit the park often or on staying in Disneyland for more than a few days. According to Disneyland, the ticket price for adult increased to $92, just for one day. And for kids, it will increased from $82 to $87. 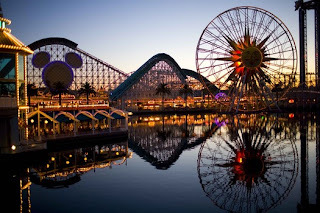 The ticket price hike include the part of Disney California Adventure Park as well as the traditional Disneyland Park. Dlandlive posted, "Last year, the Disneyland Resort pointed to the relaunch of Disney California Adventure and the grand opening of Cars Land and Buena Vista Street to justify the massive 2012 increases. However, the Disneyland Resort hasn’t changed much for 2013, and most of what continues to draw guests into the theme parks opened nearly a year ago. New at Disneyland for 2013 includes the opening of the princess meet-and-greet expansion of Fantasyland, Fantasy Faire and the opening of a new stage show, Mickey and the Magical Map." The ticket price hike announced on Saturday, June 1, 2013, which was go into effect on June 2, 2013! For the meantime, If you feel that this details are informative, please bookmark it now or visit this site more often for you to be updated. You may also share this post to your friends so they may know about the Disneyland price hike. Comments or suggestions about "Disneyland price hike over $90 " is important to us, you may share it by using the comment box below.